In past newsletters, you read about our concerts supporting the Boston Living Center. Tickets to these concerts are now on sale via our ticketing website. You can also RSVP and donate to the Boston Handbell Festival at this link. BBR’s new video of Metamorphosis by Michael Helman. 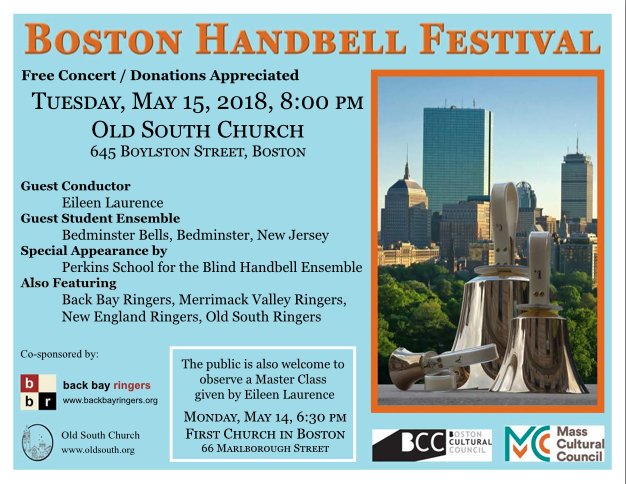 RSVP and donate to the Boston Handbell Festival here.